Share the post "5 Fibroid Related Myths"
Click inside to explore whether you have been ill-informed by some of these common fibroid-related myths. 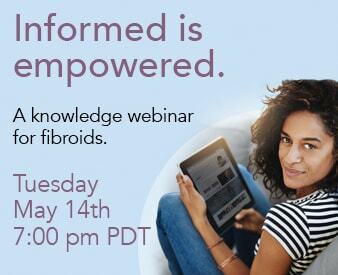 Myth 1: Fibroids increase your chances of endometrial cancer. Fibroids are associated with an increase in the risk of endometrial cancer (cancer of the lining of the womb), but fibroids do not cause this issue. The idea is that the same factors that increase your risk for fibroids may also increase your risk for endometrial cancer. Myth 2: If you have fibroids, you must have a hysterectomy. Although this train of thought may have been common in the 70’s, present-day, there are a number of alternatives that women have available to them in order to effectively treat fibroids. 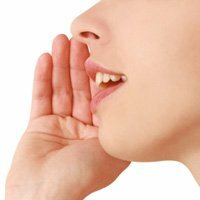 Now we know that even those fibroids that cause bothersome symptoms can often be treated with medicine, a lesser surgical procedure than removing the uterus entirely, or a much less non-surgical procedure, like Uterine Fibroid Embolization (UFE), that allows women to keep their uterus and enjoy the benefits of a surgical-free procedure. We also know that fibroids generally shrink in size after menopause. With the advent of uterine-sparing surgical techniques like UFE, we have a greater ability to remove just a fibroid without removing the entire uterus. This is of great importance to women with fibroids who want to be able to become pregnant or simply want to keep their uterus intact. Myth 3: If you have fibroids, you can’t become pregnant. Although fibroids can prevent pregnancy in certain patients, the majority of women with fibroids will never even know that they have them. Most often, fibroids are incidental findings when a woman has an ultrasound test for another reason or during a gynecological examination. In some patients, however, fibroids may cause miscarriages or other obstetric complications, depending upon the fibroid’s size and location. Occasionally, doctors will recommend removing a fibroid during pregnancy (myomectomy); however, this is often only the case when there is reason to think that the existing fibroid can pose as a danger to the fetus. Myth 4: There is a “miracle diet” that can cause fibroids to disappear. This claim is unsubstantiated. There are no scientifically proven dietary supplements or practices to date that can reduce fibroid size, nor are there any magical therapies. Myth 5: You don’t need your uterus after you’ve had your children, so just remove it if it gives you any problems. This was the prevailing medical approach until recently. Initially, it was thought that once it bore our children, the womb’s job was complete and it became an unnecessary and dispensable organ. Recent research, however, suggests that the uterus is a biologically active organ that may interact with other organs such as the ovaries in ways that have yet to be understood.